WheelTurnerHawaii.com: HawaiiWinterOutlawSeries Event 3. THE SCORCHER 4. Results! 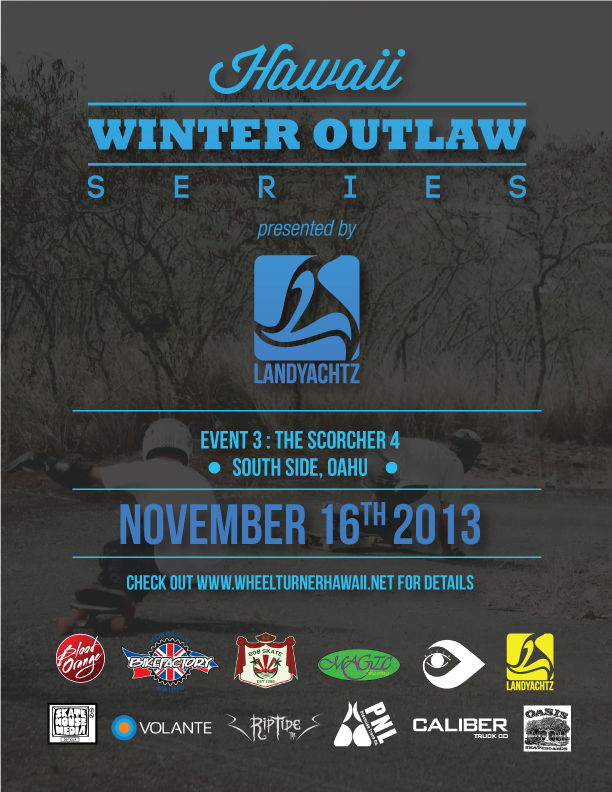 HawaiiWinterOutlawSeries Event 3. THE SCORCHER 4. Results! It was a BATTLE today at the 3rd event of the Hawaii Winter Outlaw Series, The Scorcher 4... and taking home the GOLD was Kaimana Pinto. Big Mahalo to the supporters and everyone who came out! We had a Oahu, Maui and Canadian shredders all sharing the stoke. Full writeup, photos and video coming soon. HawaiiWinterOutlawSeries Event 3- The Scorcher 4.